Soothe and Cool No Rinse Shampoo and Body Wash, MSC095340, MSC095348, MSC095349H, MSC095349, Skin Care and Bathing, Skin Care and Bathing. Medline Soothe and Cool Shampoo and Body Wash is a hair and skin gel cleaner that is perfect for patients who are immobilized or bed ridden. By keeping the patient in the bed during the cleansing process, Soothe and Cool makes it much easier to bathe patients. Hair and skin cleansers help with providing a remedy but often times are still not the most convenient or effective. This product is ideal for bedside bathing due to it's no rinse formula. No-rinse skin cleansers provide the caregiver or patient with the ability to effectively clean the skin where soap and water are not readily available. Just put the gel onto a moistened cloth and wipe clean. This can be used on the skin as a body wash cleanser. Soothe and Cool is perfect for individuals with sensitive skin or when the skin has become compromised. This is made possible with the soothing effects of aloe and the PH balanced solution. The Soothe and Cool Shampoo and Body Wash has an additional benefit of being a deodorizer as it cleans as well. Available in a convenient squeeze bottle. Is it possible for me to purchase 1 or 2 gallons of the Medline Soothe & Cool No Rinse Shampoo & Body Wash? I bought my first one two years ago and just finished it. 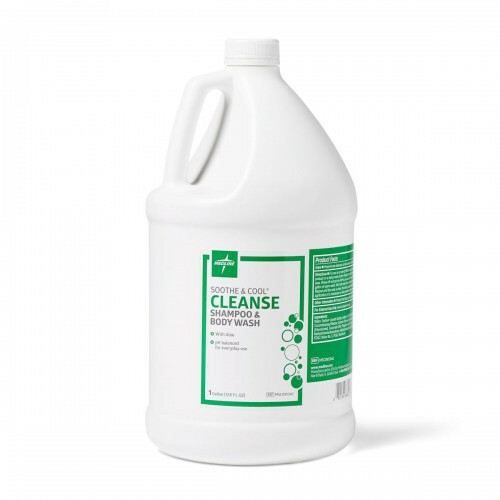 Four gallons would be to much, and I really like this product very much. It is the best and has helped clear my dry skin problem. Please let me know if this is possible. This item is currently available through our website in a four-gallon box only. We may be able to special order individual gallons; however. Please contact customer service at 800-397-5899 for further assistance. IS THIS AS EFFECTIVE AS REGULAR SOAP+WATER OR SHAMPOO? According to the manufacturer this item is just as effective as using soap and water. The product pictured on this page is "Soothe & Cool Fresh No-Rinse Shampoo & Body Wash". 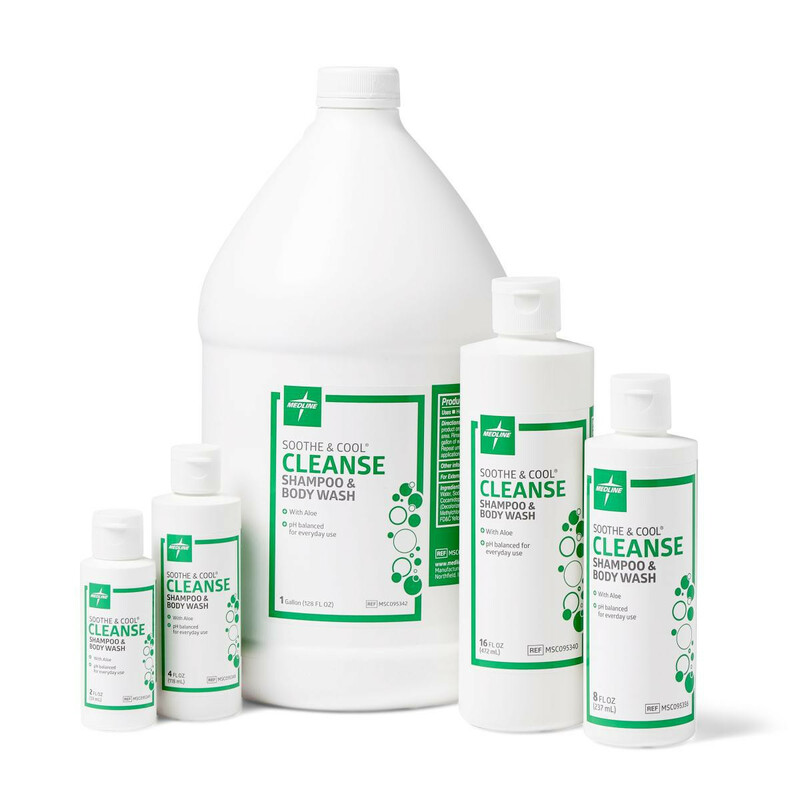 The actual product that gets delivered is Medline's "Perineal Wash for incontinent cleansing." It is not at all the product that is pictured and described on this page. Had I known this, I would not have ordered this product. Very disappointed with Vitality Medical due to this very misleading - possibly intentional - product description.